School Moms Chat groups are a race way ahead of their kids’ times. Everything that you need to know, or don’t need to know is discussed in that group. Portions of both variants, right from the subjects taught to the tiffin served, are discussed with such finesse, you have no option but to try to keep up. School, teachers, principal, peon, BMC, and the rain gods, no one is spared when the torch of mighty opinions is set aflame. Yes, The School Moms Group chat is a thriving ecosystem, and here is the how the food chain looks. Well, this mommy is the big kahuna, the high priestess of the group. She dictates the tempo and the atmosphere of the chats. Be it the teachers’ inadequacy or the school’s policies, she comes down hard-core on every burning issue. She can lead with the skill of a CEO of a Fortune 500 company. It is difficult to be on her wrong side, hence the herd instinct. All mommies look up to her as the diva that they silently aim to be. A growing breed, this mommy knows too much, or so she thinks. She takes it upon herself to enlighten her ward. Extra notes, presentations, videos, tuitions and classes, she has researched it all. To her either the teaching is inadequate or the subject is being rushed through. Never content, academic brilliance is all she aspires. Heard of Boot Camp? Well, she’d be the Managing Director of that hell hole. Oh, the one that we all simply love! She is sweet, cute, crazy at times and the life of the party. She is the one always trying to make some plans to meet up. She is quite the happy soul and thinks of this school journey as fun. Quick to organize and come up with unique ideas, she is pretty much on everyone’s fast dial. With her pretty head on her shoulders, she is the voice of reason in the group. You could turn the world upside down but this mom can never be happy. Never. Every ping is an announcement of grief. She never gets school announcements, is always scouting for lost articles and asking about homework. She will crib from now to kingdom come, but mind you, will never change school. And no you can’t offer her a solution even if she asks for one. This group is her personal venting space, and we are her universe. This is payback for all the sins you committed. Suffer! Not to be confused with the erstwhile Mother India played by the late Nargis Dutt. This one is so-called because she is a unique species found only in India. To her, her child can do no wrong. It is always the system, and her poor little baby is at the receiving end of it all. She will storm the heavens with a thousand temple bells (or into the principal’s cabin, banging her fists on his table) to prove her child’s innocence. If you are planning on telling her that there is no smoke without fire, make sure you have donned your bulletproof armor. This mommy singlehandedly keeps the group going, at times. A good morning smiley here and an inspirational message there, she is the reigning encyclopaedia on forwarded messages. If she receives a message, she feels obligated to rid the world of all its problems by pressing ‘share’. Ask a question and if doesn’t have an answer, she has an emoticon to convey her solidarity. Not a bad bone in her body, but little Mrs. Sunshine is quite the enthu cutlet. On days you feel like murder, she could be an easy victim. This mommy is all about the glitz and glamour. She might not know when the last assessment was, but her assets are always well displayed in her profile picture. She has mastered the art of 500 hundred ways to pout and can give you a lowdown on all the happening waterholes in your part of the city. She is on the group so that you lesser mortals can burn with envy at her miraculously lost inches and that perfected pancake look. These kinda mommies are a dime a dozen. You know those backup dancers who add to the frame but are never in the forefront. Yes, those. So much so, that when you receive a birthday invite from an unfamiliar number, you report it as spam. Don’t expect any action, opinion, help or advice from them. When the academic year is done, they will dutifully move on to the next group chat, incognito. Their only claim to fame, they added to the group statistics. 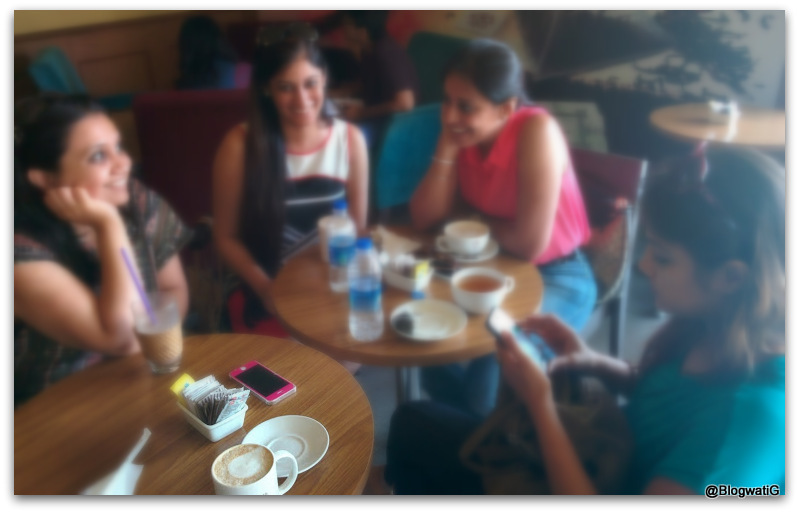 No matter where you are, if you are a school mom, you would have invariably been in one such chat group in your lifetime. So, tell me, did you find your clique in this list? Or you have another sub species to add? Hahah….utterly funny….and I could visualize each type! Ab yeh batao, how many friends did you lose after uploading this post?